While Homo sapiens in Africa faced drought and extinction, Neanderthal Man in Europe had adapted well. But the development of a crucial tool - imagination - changed everything. Homo heidelbergensis, 140,000 years ago, evolved into: homo neanderthalensis and homo sapiens. Homo neanderthalensis inhabited northern Europe and survived the ice age. Homo sapiens inhabited Africa, surviving a devastating drought by anticipating future possibilities. Homo sapiens were the species who would evolve into modern man. Nearly half a million years ago, an advanced species of human roamed Europe. 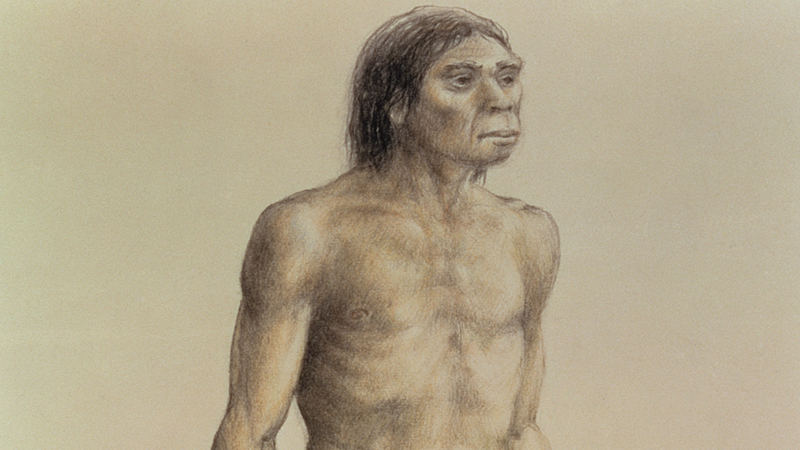 Strong and powerful, Homo heidelbergensis were fierce hunters. They used sophisticated tools, and lived in close-knit family groups. However, heidelbergensis were missing something vital.